Given that major construction jobs are very common in and around the greater Boston area, large groups of people are constantly at risk of injury. The Bureau of Labor studies have shown that due to the dangerous nature of construction work, many individuals are killed on the job or around construction sites ever year. With so much work being done on our roads, millions of drivers are also impacted on their daily commutes. Sometimes, improper signage, debris littering the roads, improperly located construction vehicles, and other negligence on a construction site leads to injuries or wrongful death in a car accident. 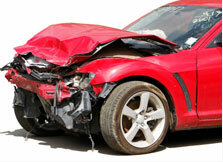 The experienced Boston car accident lawyers at Bellotti Law Group, P.C. have daily dealings with large insurance companies, medical providers, and bill collectors. We refuse to settle any claim for anything less than you rightfully deserve. Our reputation often leads to a favorable settlement for our clients, but if not, we are meticulously prepared to fight in court on your behalf, bringing together a team of expert witnesses if necessary. Call our Boston, Cambridge, or Quincy office today at 617-225-2100 for a free consultation. Distractions: Construction sites add outside distractions to drivers. Distracted drivers may fail to notice warning signs, equipment, or construction workers in their paths. Construction debris: Equipment and materials used in construction projects can add debris to the path of oncoming traffic. To avoid it, a driver might try to swerve and in doing so, potentially cause an accident. Decreased visibility: Construction equipment and procedures often stir up large amounts of dust and dirt into the air, decreasing a driver's visibility range. With decreased visibility comes an increased likelihood of accidents. Lack of warning signs: If drivers are not provided with adequate advance warning of upcoming construction, they might collide with construction materials or drive at speeds that are unsafe for a construction zone. Inaccurate signs: Signs may not properly describe how to navigate through a construction zone, which can lead to head-on collisions if a driver accidentally drives in the lane designated for oncoming traffic. If you believe you or a family member suffered a serious or disabling injury and or a fatal accident due to a construction site accident, contact the Boston personal injury lawyers at Bellotti Law Group, P.C. today for a FREE consultation at 617-225-2100. Our Boston car accident attorneys work hard to determine the cause of the accident and establish the liability of the other parties involved.